Google is testing a project that would bring the internet to people in rural areas and developing nations via high-altitude balloons. 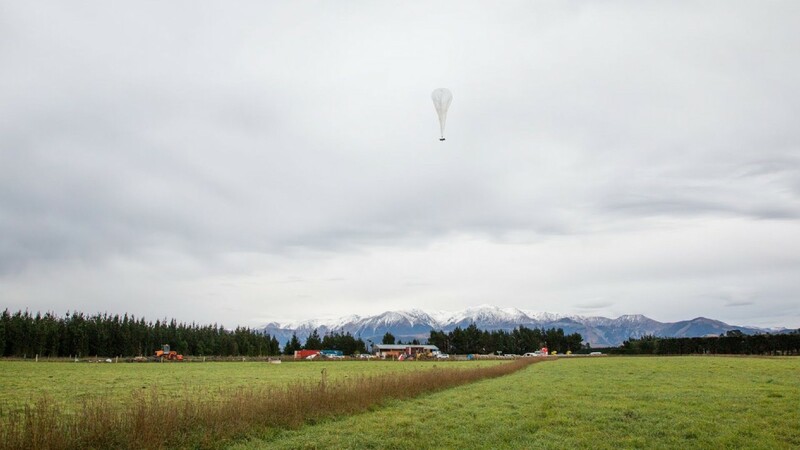 The program, called Project Loon, comes out of Google's experimental lab, known as Google X. The idea is to send big remote-controlled balloons up into the atmosphere, about twice as high as commercial jets fly. Radios mounted on the balloons would send internet back to the ground. That would be useful in places too remote for cables, explained Google aerospace engineer Sameera Ponda. "By virtue of our technology, which is essentially a network that flies above everything, we're not limited by the same limitations that cell towers, for instance, would have," she said. Google engineers have tested the project in various stages in California and in New Zealand, where Ponda said, it was well-received. "We had a few farmers in New Zealand who were able to connect from their houses. Normally they didn't have reliable internet, and they were really excited to see this," she said. "It was just really nice to see that this could really improve their lives a lot. They could get weather reports for their farms and things like that that could really benefit their businesses." Internet access isn't just important for business, though. Chris Coward a research scientist at the Technology and Social Change Group at the University of Washington's Information School, said leisure and communication are just as important for development. "When people are able to expand their communication networks, we see they're able to expand their economic and educational and even health benefits, as well," he said. Coward said he thought that there would be regulatory and business model challenges to the project, but said it looked interesting. "If they get over their technical and other challenges, that could be a really huge boon and advantage to those rural areas which are very challenging to connect," he said. Google engineers are testing the balloons in California over the next few months but there's no date for when Project Loon would officially get off the ground.